The Archives section is our repository for artwork by Fernando Amorsolo that was previously featured on this website. It contains past Amorsolo sketches, Feature Paintings, and any accompanying literature. This section will function as the Foundation’s virtual library where art students, researchers, and patrons can go to learn more about Amorsolo and his work. Please check out the latest featured work by going to our Feature Painting and Sketches sections. 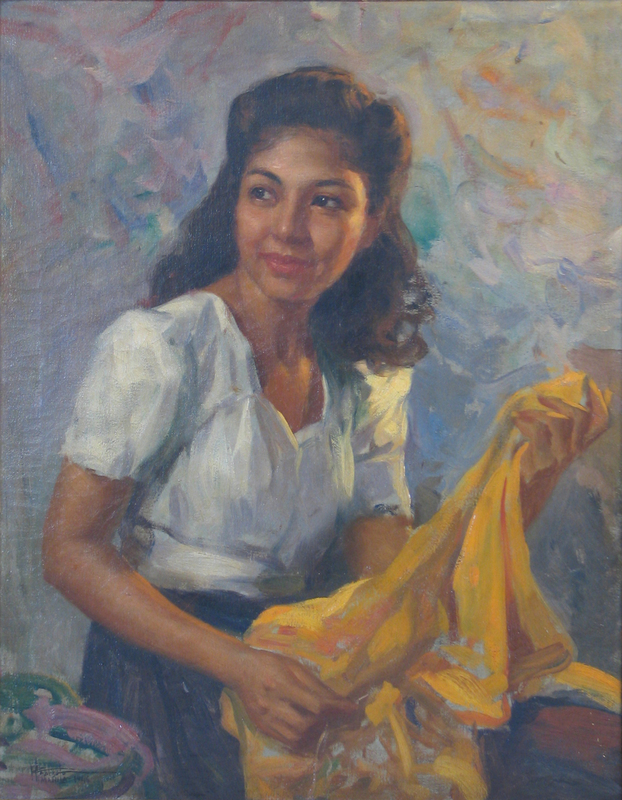 It was a Good Friday in post-war Manila in 1946 when Amorsolo asked his daughter to pose for him. Being one of the holiest days of the year, the artist’s studio was quiet and empty allowing him to concentrate on this piece. Having asked his wife and children to pose for him in the past, Lina thought nothing of the request. He would frequently use them as a reference for the figures in his paintings. Women presented more complicated subjects. More so than for men, the portrait was influenced by the subject’s individual personality and social standing. 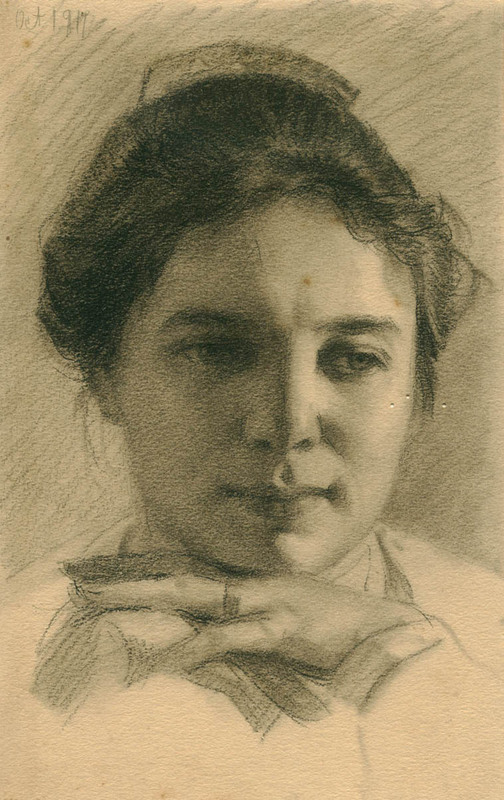 In this portrait done in graphite and charcoal, the subject is depicted in a more relaxed and reflective way. The woman’s gaze is pointed downwards noticeably away from the viewer.